This September, explorer and environmental advocate Philippe Cousteau, Jr. and EarthEcho International invite you to take part in protecting one of your community’s most precious resources—water. In celebration of World Water Monitoring Day on September 18, EarthEcho is supporting water monitoring events around the world and equipping community members with online resources to help them monitor and protect the health of community water supplies. The World Water Monitoring Day tools and activities are part of the EarthEcho Water Challenge, an international program that equips anyone to combat the global water crisis starting in their own communities. Leading up to and during World Water Monitoring Day, EarthEcho will provide a variety of ways to engage individuals, organizations and communities in monitoring and protecting their water resources on September 18. Those interested in taking action in their community can visit www.monitorwater.org to order an EarthEcho Water Challenge test kit, share their water quality data and download toolkits and other resources to help guide their efforts to protect local waterways. Participants join a network of over 1.5 million citizen scientists who have taken action to monitor and protect water resources in 146 countries through this program. Throughout the day, EarthEcho will share live broadcasts and updates from water monitoring events across the country on Facebook, Instagram and Twitter, and encourage participants to join the conversation using hashtag #MonitorWater. 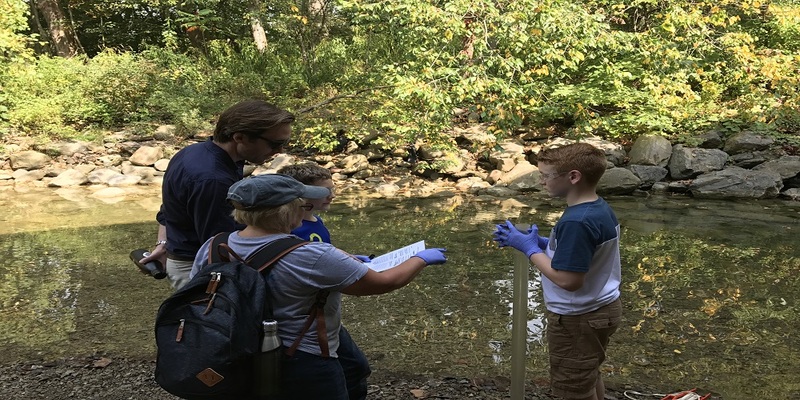 Cousteau and EarthEcho team members will join Friends of the Chicago River in Chicago’s Clark Park on September 18, teaming up with local Chicago students to monitor water quality and cleanup the Chicago River Watershed. The event will provide an opportunity for student leaders to guide their peers and community members through the water monitoring process, while teaching them about opportunities to help restore the Chicago River Watershed. Volunteers from leading water technology company and EarthEcho Water Challenge sponsor Xylem, Inc. will be on hand to assist with testing and mentor participating students. This year, EarthEcho selected its inaugural class of EarthEcho Water Challenge Ambassadors – 20 young leaders from across the United States tasked with leading their peers and community members to monitor and protect water resources in their local community. As part of their role, Ambassadors will carry out World Water Monitoring Day events in their communities to raise awareness about their local waterways and engage community members in protecting these ecosystems. EarthEcho has teamed up with Brains On!, an NSF-Funded, award winning science podcast for kids and curious adults, to activate young water scientists and stewards. Through a new series of podcasts, young children are invited to investigate the fascinating world of water science and become a Brains On! Water Detective by monitoring local water quality through the EarthEcho Water Challenge. Podcasts and additional resources can be accessed at monitorwater.org/brainson. For more information, visit www.monitorwater.org and follow us on Facebook, Instagram and Twitter.